The Mall in Columbia (aka Columbia Mall), another James Rouse creation, built in another of his famous "planned communities", this one being Columbia, Maryland. 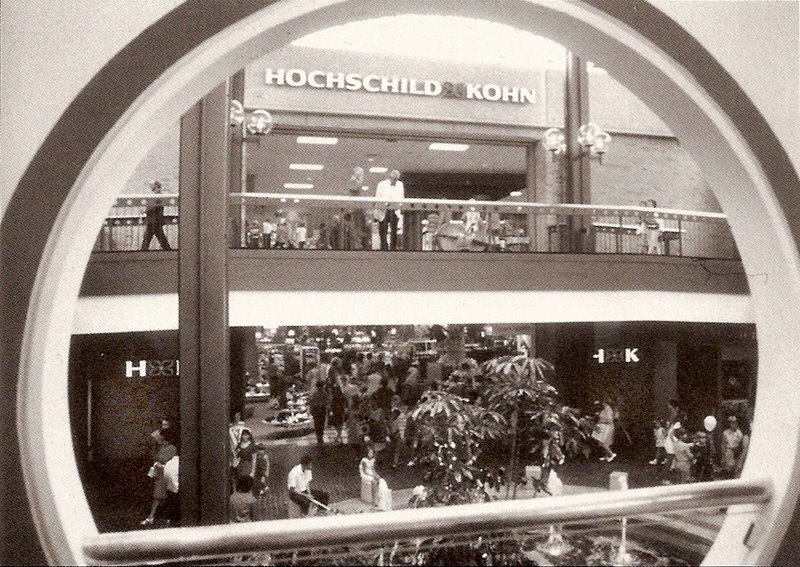 In the first photograph you see the Hochschild Kohn store, one of the mall's original anchors (which became a Hecht's in the mid '70s, and is now Macy's), and in the second, the Woodward & Lothrop (aka "Woodies"), which closed in 1995 and then became a JC Penney. You can also just make out a Fashion Bug store on the left in this one. The last shot is obviously an exterior view (on the Woodward & Lothrop anchor side) which I'm told was also taken early in the mall's life. 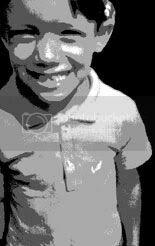 Thanks very much to MOA reader, Ed South (of Ed South's Wonderful World of Blog), for this terrific submission! This is a fabulous mall in almost every way. I visited and took pictures back in July, and am planning to do a post on it myself soon. Unfortunately, I've heard that there are plans to demolish it and replace it with an outdoor, Main Street-styled development instead. It's highly unusual for such a large and successful mall (it's easily one of the best malls in all of Maryland) so I'm kind of astounded. Wow, that is a great set of photos. Love the circles! I hope they don't knock it down! This whole trend of creating main streets is getting old. Such a great old mall. 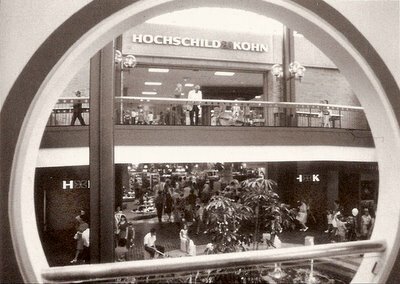 That's the first picture of a Hochschild Kohn in a mall I've seen. the Woodies is cooler outside than in, I think. As I recall, this mall was supposed to serve as something of a "downtown" for the planned community of Columbia. I used to go there once in a while back in the early 1990s. This mall had one of the first Chick-Fil-A stores in Maryland. I also used to go to concerts at the nearby Merriweather Post Pavilion. It's rather stunning to hear that there could be plans to knock this mall down. Something about those exterior photos seems to stir something in me...that is some amazing 70's architecture...how a simple design can sometimes create something truly amazing. Those triangles on the outside are like funky pyramids. I LOVE them. The roof-like things bring memories of the now defunct (and much smaller) Roswell Mall that was largely demolished in 1998. What a shame that they would let such a fascinating structure (considering how bland most 70's malls looked on the outside, too) for another one of those faux main street things. 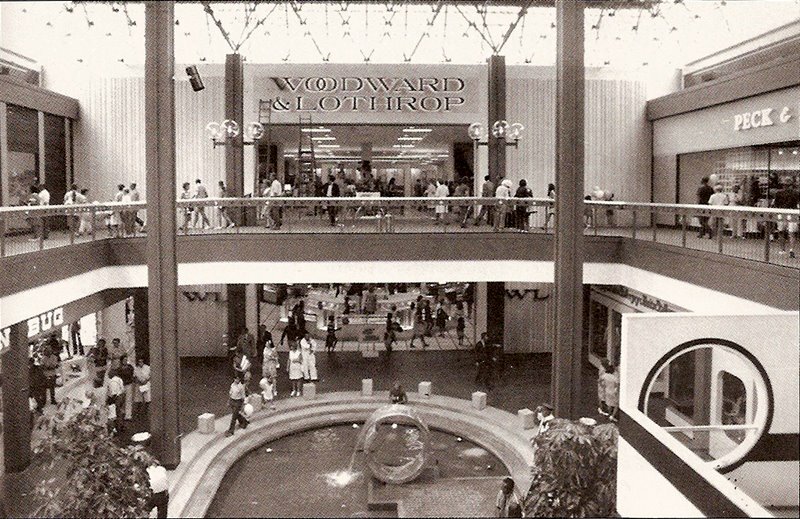 Yes, prepackaged main street is the craze (everybody's nuts about Atlantic Station in midtown Atlanta...it's all anybody talks about these days), but I sure miss the days when malls were something special. I sure dread having to brave cold and damp weather and horrible parking to go shop in these fake downtowns...it's why downtown died in the first place. Very surprising that some are planning to demolish the Mall in Columbia...being that it's (I believe) the 3rd or 4th largest mall in MD (behind Montgomery, Arundel Mills and White Marsh). Do you have a link to that article? Great to see some local, Washington, DC area malls from when it was more parochial and less-international. 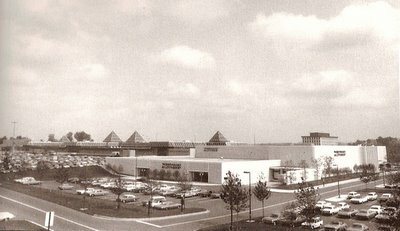 That mall was home in the 1980s and 90s to a great flea market that, pre-ebay, was THE best source for cheap collectibles, such as photos of old malls. Maybe someone here can help me. When Westfields took over Montgomery Mall, they renovated and rebranded it. At that time some local news channels ran a promotional video from the mall showing a film of the original, circa 1968, Montgomery Mall and the newly renovated mall. I REALLY want to get a copy of that film. It showing the dark brown stone tiles, the "wishing well" water fountain, the "owl eyes" M logo and other memorable scenes. Years later, I called and wrote letters to the 4 local news stations offering to pay for a copy of that night's broadcast, but never heard back. Anyone? I live in Columbia -- have since the Mall was new -- and have been listening very closely to the plans for downtown Columbia. To my knowledge, there are no real plans to knock the Mall down. There is a movement to create a "main street" environment to compliment the Mall, though. I think that is a Peck and Peck store on the right. yea as of 3 weeks ago about they actually annouced in april they will be annocing plans to actually add more to columbia mall including about 750,000 sq ft of retail and numbers i cant even remember of office space and homes. lil over a year ago they added the cheesecake factory...which continued on the strip that they build about 5 years ago including an amc theatre, a champs bar n grill, unos and pf changs....actually they just built a bank of america which was finished in this past year also in the strip. I work at the mall and I heard thay are not tarring the mall down they but they are tarring down the jc penny fountan foramaly woodword and lothrup aka woodys and putting a play area in. They aren't knocking down the mall. There will be an outdoor shopping area with restaurants in the Merryweather area across from the Mall.